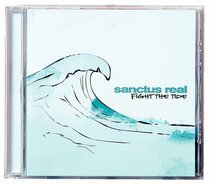 Sanctus Real returns June 15th 2004 with its second album, FIGHT THE TIDE. Produced by Tedd T. (Stacie Orrico, Delirious), FIGHT THE TIDE features the single, 'Everything About You,' a follow-up to Sanctus Real's five-week #1 cover of U2's 'Beautiful Day' from IN THE NAME OF LOVE: ARTISTS UNITED FOR AFRICA. Representative of the entire new recording, 'Everything About You' is driven by a muscular rock backbeat, urgent vocals, worshipful lyrics, and creative alternative guitar work.